Miss Scarlett is three today! 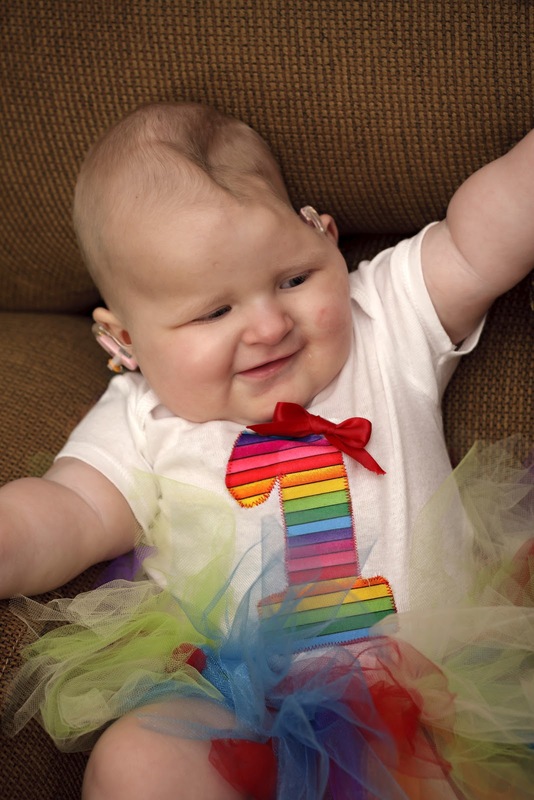 Scarlett weighs about 26.5 pounds, finally gaining a little now that the chemo nausea has passed. She is somewhere around 33 inches tall. She wears size 24 months, and is just creeping into 2T in some things. Her tiny feet have not grown much - still wearing a size 5.5! She likes to play with cars, trains, trucks, buses - anything with wheels. She also likes her "babies" - any dolls or stuffed animals. She can be found snuggling them and giving them kisses whenever she finds one. She thinks it is very entertaining to push empty boxes around. She still loves to swing and her baths, extra warm, where she splashes, kicks and blows bubbles. She likes to watch Yo Gabba Gabba, Sesame Street or Signing Time, breaks into dancing as soon as any music is played. She enjoys sitting in my lap to read a story, pointing to pictures. We're finally getting a sense of what she has to say. She has a solid list of signs she knows and uses regularly: want, more, cookie, cracker, banana, all done, walk, swing, bath, iPad, pudding, eat, please, and a few more. 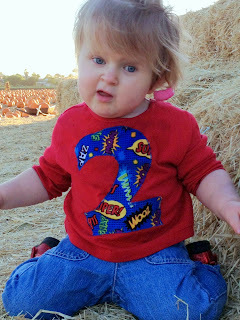 She can say banana (bamama), walk (awk), cracker (ca-ger), mama, dada (baba), bike (ba-k) and bath (baaa). She gives hugs and kisses on demand (and I ask all the time!) She can point to her nose, eyes, hair, tummy, legs; she understands a few common requests like "stand up", "lay down" and "knock on the door". She still doesn't seem to understand the word no (despite hearing it frequently! 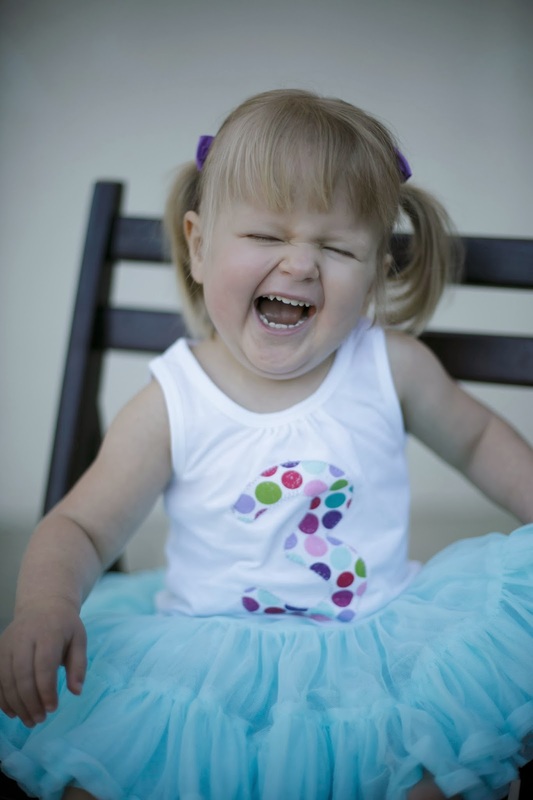 ), or any negative facial expressions - not sad or mad; she just giggles no matter what we do. She waves hello and goodbye (or blows a kiss if you're lucky). She's ready to walk any day. She can take off running in her walker, but is still hesitant without the support. She climbs up, over and under all the furniture in the house, even pulling boxes or chairs around to reach new things. She jumps on the couch or in her crib. She still goes through the dog door at any opportunity; the goal seems to be mainly to get on the other side and wait for us to get her. She loves to play by herself in her room, just upending baskets of toys and looking at each one. She is more and more amazing each day. She is funny, sweet and easily excited. She is sneaky and mischievous. I love to see her face light up when one of us walks in the room, or when she figures out a new trick. She proves to us each and every day why we fought so hard all this time. Happy birthday scarlett!! 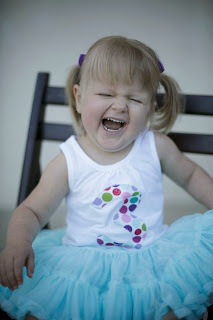 praising God for your hard, but joyful 3 years of life! From one california friend to another! Happy birthday!!! And here's to many, many more! Happy birthday cutie! You are one amazing little girl! Happy birthday, beautiful girl! I love your 3-year-old picture!